Perhaps we all thought that Google TV would come rushing onto the scene, everyone would have a web enabled TV in their living rooms, and then all would be hunky dory…. screeeeeetch…. and slam on the brakes. 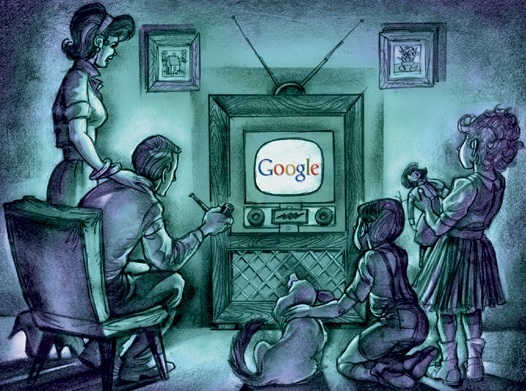 There’s one question none of us thought to ask when talking about the new Google TV – what about the major TV networks? Well – apparently the major TV networks are not quite to enthusiastic about Google TV as the rest of us. In fact, major TV networks ABC, NBC, and CBS have all blocked Google TV from streaming full episodes of shows such as NBC’s The Office, CBS’ $h*! My Dad Says and ABC’s Modern Family. And these major TV networks are not the only ones who are blocking content from Google TV. Hulu has also decided to block content from streaming on Google TV’s. Google TV, powered by the Android operating system, is designed to allow users to search the major TV networks to find what shows are playing. And if major networks are blocking Google TV, then what? Well, the problem for the major TV networks is that even though they block their stations directly, there is no shortage of pirated content on the web that will allow users to pretty much watch whatever show they want, whenever they want. I would think that major networks would be able to strike some sort of business deal with Google so that the content is readily accessible, and revenue is shared somehow – but what do I know… I’m just a blogger!